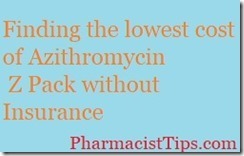 With some investigation you can get the lowest cost of azithromycin/Z pack without insurance. 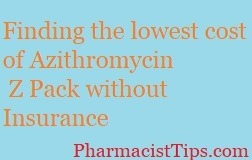 A Z-Pak consists of 6 tablets of azithromycin 250 mg. The typical dosage is two tablets the first day follow by one tablet a day for four more days. The cost for the generic runs about $15 to $30 dollars depending on the pharmacy. You could call around to local pharmacies asking for a price quote. Or, use my price checker with my discount card. 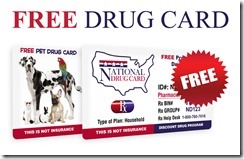 Find the best price, print the card or screen capture it and show it to the pharmacy staff. The CDC estimated up to 30% or more of prescriptions for antibiotics are unnecessary, be sure to ask your doctor if they feel you have a bacterial infection. Antibiotics like azithromycin save lives and keep people out of the hospital, but they don’t help every type of illness. Always speak with your Doctor or Pharmacist if you cannot afford you medications, they may be able to find you less expensive alternatives.